« Which Host is Best for Your Online Business? 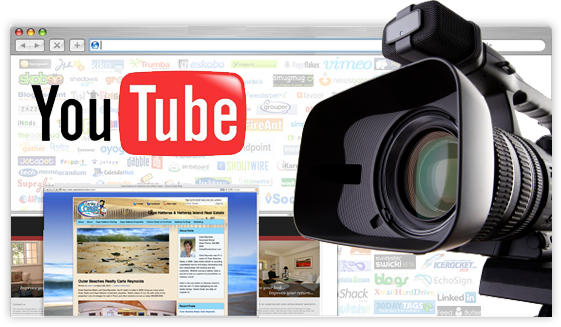 Video has fast become the forefront and future of online and offline marketing. To begin, let’s start by listing the benefits of video and why in this modern era, video is incredibly important to our online campaigns and businesses. 1. Content – People perceive video as high value content, therefore it can be used to increase the price of a product, and really give better value to your customers. 2. More Likely To Buy – Customers appreciate higher value content are more likely to buy on the premise of being given high value content for free. 3. Video Isn’t Always As Direct As Copy – Video is much more engaging than written text. Therefore it’s easier to sell in a video without being so ‘in your face’. 4. Grabs Attention – In this day and age, people don’t read every word on a sales letter. Video however captures attention faster and more effectively, and can have a viewer hooked for the whole message; rather than just having somebody ‘skim’ over a sales page. 5. Control The Pace – A sales page doesn’t control how fast a viewer reads. A video on the other hand, controls the pace of your message, which is very important! 6. Keeps Attention – A video keeps viewers watching for long periods of time, which increases the chances of them buying. 7. Faster Than Writing Copy – Preparing script for a video, is tremendously easier than having to write sales copy. 8. Psychological Benefits – Video uses motion, colour, voice & music, which all can be used to triggers strong buying triggers in the viewer. 9. Ability To Tell Stories Video – enables us to tell stories more effectively than a sales page; as we can use tone of voice, body language and other elements to engage the viewer. 10. Credibility – You can increase credibility with the viewer by simply being on video because your potential customers can see you. Video is a proven medium to increase conversions and sales percentages. DO YOU UNDERSTAND YOUR PROSPECT? There are key elements you need to know about your customer before you go ahead and create a video. This will ultimately help you create a much better video that your viewers will be engaged by and follow along with. What are the viewer’s fears/hopes/problems? What are their frustrations and concerns? What makes them angry/could make them happy? What is there perfect scenario? Answering these questions will get you off on a good foot to understanding your viewer and their needs. Essentially, these are the things you want to address throughout your sales video. What niche or market do they fit in? How much information do they already have access to? How to hook your viewer? When your viewer first watches your video, you will have a very short space of time in which to capture the attention of your viewer. When talking in sales letter terms, we refer to this as a hook or an attention grabber. The hook is the hot phrase that encapsulates the viewers’ attention very quickly, developing strong interest. Emotional – This is aimed to create an emotional response in the person. Unique Guarantee – A unique guarantee/promise that the viewer wouldn’t be able to find elsewhere. Remember: A Hook needs to be delivered as fast as possible… generally somebody will only watch a video for around 11 seconds before switching off. Therefore a hook needs to be hit fast! 5. Did Instagram Just Upstage Vine in Video? This entry was posted in Internet Marketing and tagged benefits of video, create a video, increase conversions, offline marketing, online campaigns, sales letter, sales video, Video Marketers. Bookmark the permalink. Follow any comments here with the RSS feed for this post. Post a comment or leave a trackback: Trackback URL.